If you’ve ever wanted to learn how to become a full time musician, you’re in luck. Today not only am I going to share with you a typical ‘day in the life’ of five full time musicians, but I’m also going to show you the common traits they all share. With this information, you should get a better idea of what you should be doing in your music career to earn a full time income yourself. If you don’t want to download the book, you can still learn the core lessons below. Are YOU Ready To Do Music Full Time? If you’ve been reading this site for a while, you’ll know how I feel about analyzing and recreating certain aspects of the music industry. While I recommend you’re original in terms of your songs and brand, there are times where looking at what other musicians are doing and copying them are a good idea. Not sure how you should be moving on stage during a gig? 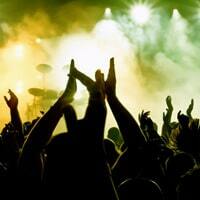 Get ideas from other acts in your genre who are good performers. Not sure what it takes to make money from music? Look at other musicians who are already making money, and replicate the business processes they go through. P.S. If after reading this guide you decide you want to do music full time as well, come back and check out my Full Time Musician online training course. 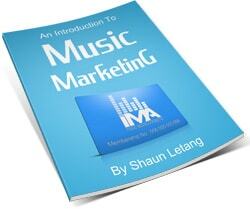 That’ll give you strategies needed to earn a lot more money from your music career, so check it out. 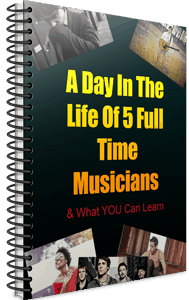 While there are a number of ways to make money from music, the five musician in the above ebook all take a very similar path in terms of their journeys as full time musicians. It’s because of this that I’ve decided to take note of what they all have in common, so you can see what’s working and apply them to your own music career. This information is gold, so be sure to read it in full and apply as much as you can. One thing you’ll notice as you read through the schedules of these musicians, is they all put a strong emphasis on gigging. While there are also other ways to make money from music, gigging is by far the most well known, and seemingly popular among many full time artists. The good thing about gigging is that there are a few ways to monetize it. Getting paid up front is the obvious ones, but it’s also a great place to sell your CDs and merchandise as well (especially if you use this strategy for tripling your CD sales). On top of that, you can also collect royalties on your performances, meaning you’ll have at least two or three streams of income coming from each show. When done right, gigging can account for a decent chunk of your income. As you can see, it’s worked well for the 5 musicians we’ve been looking at. 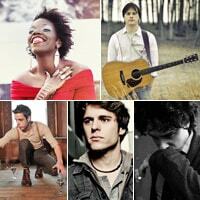 Another thing you’ll notice about each of these musicians, is they all have their own website! And I’m not talking about a Facebook or Twitter page here, although they all do have those as well. But each of them have their own .com website! While there are a few reasons for this, one of the main ones is because they need to be taken seriously. When you approach venues for gigs, they tend to do some research on you before they decide whether or not to give you a booking. If you were to tell them they can ‘check out my Facebook page for all the information’, a lot of event organizers will count you out from there. They want to book professional musicians, and ones that take the businesses very seriously. If you can’t even set up a proper website, what does that say about how serious you are? 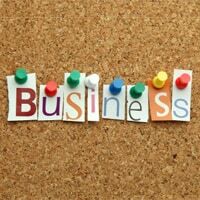 Do you know of many decent sized businesses who don’t have a website? This is just one reason why you need your own site, although there are many others which I’ve talked about in previous guides on this website. It serves as a top way to list all of your achievements and show your talents off, much like a interactive CV. So if you haven’t made your own site yet, you can learn how to quickly and easily set one up here. None of the five have HUGE social followings. At the time of writing this, the person with the most likes on Facebook is Caleb Hawley with 4,424 likes. He also has ’14 talking about this’. Jenn Mundia has 672 Facebook followers with ‘4 talking about this’. While Caleb Hawley has been on American Idol and is arguably the most well known of the 5, the majority of them aren’t house hold names. Yes you may have heard of them if you travel in the right circles, but the average person you stop on the street wouldn’t have heard of these acts before. It’s possible to earn a full time living from music without being famous, as the steps to achieving fame are different to the steps you’ll need to take to make money from music. I’ve talked a lot more about the fame vs money issue here. If you want to become a full time musician, you’ll need to decide if achieving money or fame is your main aim. Both can be achieved, but you’re more likely to succeed if you aim for one of these things before the other. Now, this is a very important one. As you’ll see, all of the 5 full time artists work hard of the business side of things, as they know it’s needed if they want to get jobs and earn money! While it’s important to have the talent side of things finely tuned, the business side of things allow you to do a few things. One of those things is selling yourself to the people who can put money in your pockets! You need to be able to sell yourself to event organizers, organizations who may hire you, other musicians who may pay to use your vocals or hire you as a hype man, to students who may want to learn a talent, and the like. On top of that, you need to know how to ask for payments, how to negotiate contracts and more. As you get more established and bring in more money, it may be possible to hire someone to help you out with the business aspect of music. One of the above full time musicians mentioned they now have a manager, but previously they sorted that side of things by themselves for a number of years. That said, now they have a manager, they have more work to do than ever! Why? Simply because their manager is getting them more opportunities than they could themselves. The business side of the music industry is something you simply can’t avoid. So spend time learning this side of things, as even if you get a manager, it’s unlikely that you’ll be able to distance yourself from it too much. And when it gets to the point where you need another pair of hands to help you move forward faster (after you’re already earning money that is), you can look into hiring a manager at that stage. Of course, it’s not all business as a full time musician. As shows are often a big part of things, a lot of work goes into practicing and rehearsing for them. All of the 5 featured musicians practice their craft on a daily basis, more so when they have a gig coming up. A good musician not only practices in terms of their vocals, but also in terms of their onstage presence, what they’re going to say, their movements, their facial expressions and the like. The better your final ‘product’ is, the more likely it is you’ll get more paid gigs. Furthermore, a more finely tuned talent will lead to more fans and money in general, and make more people want to listen to you. So be sure you practice and improve on your talent regularly. Lastly, each of these acts are literally full time musicians. Not in the sense that all they have to do is music, but in the sense that they put in long hours to make their music career work for them! Some of them work longer hours than they would at a day job. They can spend hours driving to and from a gig, and spend the rest of the time working on current and future opportunities. This is the kind of dedication you’ll need to do music full time. While you won’t be able to dedicate that time right away if you have a day job, as you gain more success from your music, you’ll have the opportunity to cut down on your hours or even quit. When it gets to the point where you can work on music full time, be sure to use it for music, and not for wasting time watching TV and playing computer games with friends. As the above shows, it is possible to make a full time living from your music. You will of course need a marketable level of talent. You also need the dedication to work on it full time, and you need a plan which will get you on the right path to monetizing your musical talents.